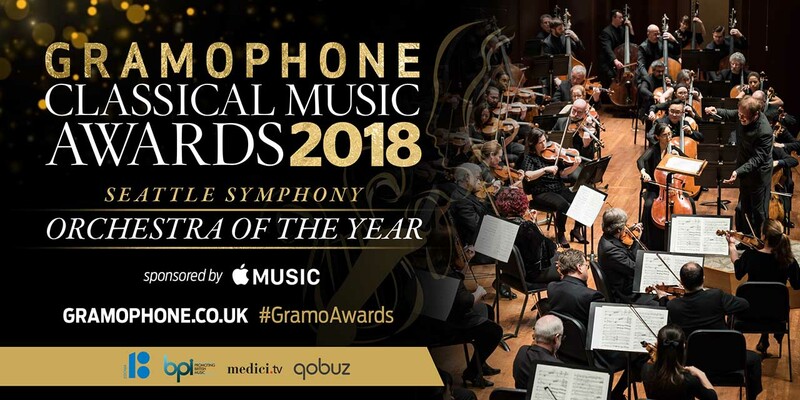 Seattle Symphony took home the Gramophone Award for Orchestra of the Year. The award was announced at the gala ceremony on Thursday, 13 September at London’s De Vere Grand Connaught Rooms. The reader-voted honuor is newly created for the 2018 awards, and is bestowed in recognition of the recent acclaimed recordings made with Music Director Ludovic Morlot and Principal Guest Conductor and Music Director Designate Thomas Dausgaard. Thomas has been celebrated for many notable achievements with the Seattle Symphony in recent seasons, including the universally acclaimed and Gramophone Award-shortlisted recording of Mahler’s Tenth Symphony, as well as the “bracing and thrilling coupling” of Nielsen’s Third and Fourth Symphonies cited in the Orchestra of the Year nomination (Gramophone Magazine, July 2018). Click here to read the full Seattle Symphony press release.